The return on investment from email marketing surpasses that by social media marketing and paid search. A difference of over 400% better returns exists, but businesses still use traditional online media channels. Businesses should take advantage of these better returns by investing their marketing budget to strengthen their marketing even further. Let’s look at why email is one of the most popular marketing techniques. No matter how big or small, every business talks to an audience to sell their products. Not doing so makes your brand complacent. If you don’t talk to your audience regularly, some other brand will. It won't take long before your competitors turn your leads into their own customers. People subscribing to your email have already consented for it. They can read it anywhere and at any time. Unlike paid ads, emails are not disruptive. This makes emails a much more receptive medium of marketing. You can use emails to communicate different updates about your company. For example, (as of writing this guide) one of India’s newest electric vehicle startups, Ather Energy, is nearing the launch of its much-awaited electric scooter - the Ather S340. It is the most exciting electric moped out of India. It even has a digital dashboard with Google Maps integration so that users don’t get lost when navigating in new cities. When you think of it, Ather Energy doesn’t yet have anything to sell online (or offline! ), and yet they have an active email list. They share updates of their product’s progress with alternative energy enthusiasts. These are Ather’s main target audience. These emails generate a good amount of awareness for the Ather brand - even before the launch of their first sellable product. So email marketing doesn’t have to be only about sending offers. It can also be used to send content to your email list without any intent of a sale. Emails are also highly accessible for its users. Visitors can read emails on their phone, on their home computer, and on their tablet PCs as well - all devices are always in sync. So when you talk to your audience through email, your message is available to them on a variety of devices. 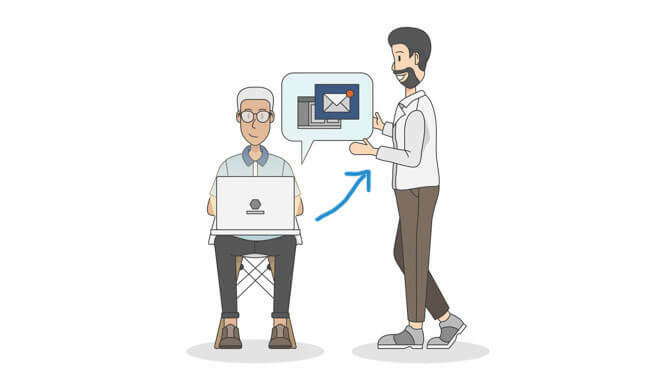 Unlike a video/audio call, you don’t need to create a continued connection to send a message through email. This makes conversations asynchronous, yet in real-time. More than half of the world’s emails are opened on a mobile device. This means more chances for businesses to improve their conversion rate. Email doesn’t have to be a formal communication medium; it is often used for casual conversations as well. What works in favor of emails is not just the conversation, it’s the nature of personalization. It is a direct message to the person, unlike any mass advertisement. Industry professionals would recognize it as a marketing campaign, most don’t pay attention to it if they really like your content. Even the professionals perceive it as if it was sent personally for them. This makes email marketing one of the most powerful marketing techniques - email is inherently personal. Marketers can further elevate this experience by adding more details to personalize the emails. You can insert a link to an article on your site, an offer, a coupon code, product preview (pretty much anything you want) in an email. 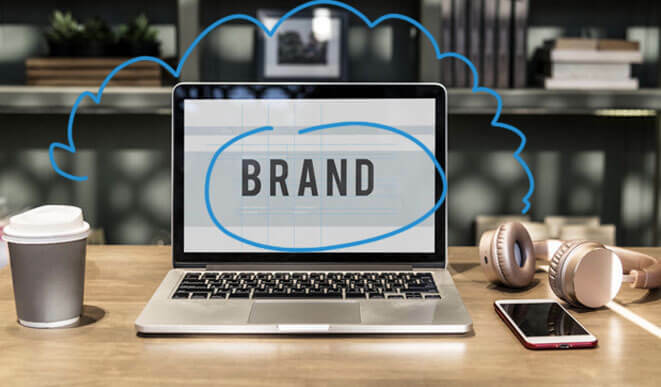 As long as your email follows high-conversion principles and has an engaging style of writing, your brand will reap great benefits through email marketing. These metrics are important because it helps marketers do a health check on their brand’s relationship with its target audience. All email marketing providers also track delivery and email open rates, bounce rates, unsubscribe rates, and other advanced metrics. These metrics, when combined with targeted A/B tests, help brands understand the specific behaviors of their own audience better. They cn use this information to tweak the emails for a higher conversion rates. It takes less than one cent to send an email message. If we compare this to old-school paid advertisements (digital or offline), we can see why email has such high return on investment. On paid online ads, you still have to apply smart targeting techniques to bring the cost per lead down. Commoditization of email marketing has brought on great benefits for the industry. There are so many operators in the market and all of them provide competitive options. Many of them provide thousands of free emails for growing brands with budget constraints. Higher packages don’t apply until your email list crosses a certain number of subscribers. You may also be able to make the cost even more affordable for your brand with yearly paid plans and startup-exclusive discounts. The whole idea of talking to a customer cannot be achieved unless you know who you are talking to. Profiling your email audience is the first step towards implementing effective, high-converting email campaigns. When we profile the people in an email list, we basically create characters using their most common traits. These characters are called “Email Personas” or "Buyer Personas". Slowly as you gather more information about your audience, different types of personas emerge. Different types of people require different types of messaging. The second step is making sure the right type of message reaches the right people. We can achieve that in email marketing by segmenting the email list. Segmentation is further classification of our list into sub-parts depending on common characteristics and traits of their buyer persona. This targeted messaging enables gradual advancement of these prospects along the sales funnel. Because of the scale of email usage and the degree of penetration it offers, email marketing ensures the leads are nurtured efficiently. Social media (or even sponsored search) is for generic engagement of an entire audience. In the sense that, it doesn’t deliver the messaging according to the type or traits of the customer. Email is for specific, customer-facing engagement. In the previous step, we talked about the segmentation of email lists. We can target customers similarly using many detailed criteria with paid ads. However, targeting of these paid ads is limited to the options the advertising panel will allow us. With email segmentation, marketers retain the complete control of identifying the type and traits of their leads. This enables us to send precise messages and amplify the sense of trust, which the visitor showed while sharing their email address. Moreover, social media is meant for getting the brand noticed. Emails are used for advocating about the brand once the brand has been noticed regularly and has created a positive influence in the customer’s mind. Email a fantastic tool to raise the brand awareness. Another key difference between social media and email is the information sharing protocol. On social media, you are fighting among several brands while relying on the social network’s own algorithm. Having an email is like a personal invite to their home. There are no algorithms that may interrupt your delivery. The user has consented to receive emails and he will receive the emails. You still compete with other brands to get your email opened and read thoroughly. The motto with email marketing should be to share quality stuff that grabs attention and adds real value. Such content is written to not only engage with the user but to serve a unique purpose for the user. This means the frequency of emails sent per day will go down. You can’t send one email per hour. Your brand will have to spend some time to find the right frequency and tone of email that strikes a cord with your own specific audience. The primary reason why customers favor email is that it is direct to them. If they want offers, promotions, or regular content upgrades, they would traditionally have had to use an RSS feed or visit the brand’s website daily. With the advent of email, all that has changed. 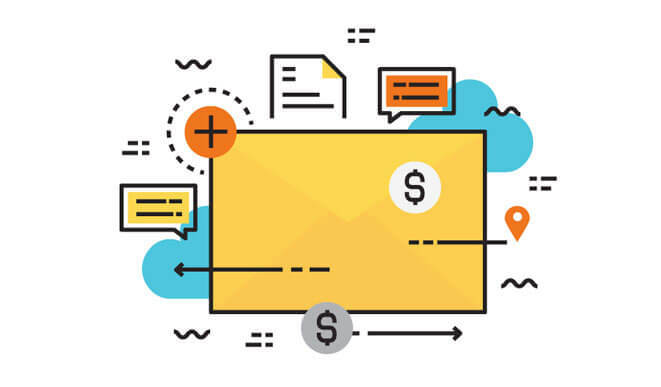 In a research conducted by Marketing Sherpa, 60% of survey participants reported Email as their primary medium for receiving marketing communications from brands. It’s easy to see why brands are increasing their email marketing expenditure. With advanced templates, you can add the receiver’s name in the subject line and in the email body. Depending on which email marketing provider you are using, you may even be able to customize whole paragraphs inside the email body according to the receiver’s persona. All these features contribute to a more personalized email experience. With the help of marketing automation, this experience can be elevated even further. These systems are designed to keep track of where the customer is in the sales funnel. Their insights help you figure out the proximity of the prospect to a sale. If the prospect is a lot closer to purchase, you can configure your email system to fire an email that triggers an immediate purchase. The tool won't wait for the next email blast. No manual intervention is needed, and everything is tracked automatically. This allows your marketing team to focus on advanced tasks such as strategizing and planning. One-on-one marketing is very important to prevent leaking of leads. For example, if a customer adds a product to the cart but abandons it midway, the marketing automation system can trigger an email to remind the prospect of items they left behind. Another solid example is when a prospect visits your website to research for a high-value, purchase-oriented “buy” keyword phrase. This customer is closer to purchase than someone using a more broad set of keywords. He needs to be sent a trigger email right away, if he leaves the site without making a purchase. Such emails can be sent to existing leads. They can even be used to capture brand new leads. A marketing automation system keeps track of such (and other crucial types of) visits and tries to minimize the leakage of leads by sending timed emails.